Buddle Place is on the southern-most tip of the island with huge sea views. This is a spectacular spot for walking, with dramatic cliffs and lush vegetation. Your 19th-century stone coach house has been converted into a comfy, one-floor escape with those wake-up views out to sea through the picture window. The open-plan living and kitchen space is convivial – rustle up meals while you chat, dine at the big table, or out on the terrace, read by the wood-burner. The master bedroom has an en suite, the twin bedrooms share the family bathroom. Walk to Castle Haven harbour for a dip or drive to the big beach at nearby Ventnor; long sandy beaches a bit further away are Sandown and Shanklin. Your garden is a leafy suntrap and you can pop round the corner to the famous Buddle Inn for dinner. Special offer: 3 or 4 Night Mini Break from 26th April. Hop on the ferry and come and enjoy some lovely coastal walks! The Stable was the perfect place to unwind; beautifully laid out, comfy beds, lovely views and within walking distance of great walks across fields to the beach. There were really thoughtful touches like a travel cot already set up for our baby, biscuits awaiting our arrival and a brilliantly equipped games cupboard. The house is really well located for exploring the south coast of the island and we loved finding uncrowded beaches, a pop-up wood-fire pizza van and ice creams on Yarmouth Pier. Thank you Jay & Mark for a wonderful stay. We'll be back again! Just returned from the most relaxing few days at The Stable, Buddle Place. The spacious property is beautifully designed. Everything one could possibly need is provided for. No worries about staying here in the colder months - it's toasty warm at all times even before lighting the lovely wood-burner. It's located in a quiet village with wonderful walks outside the front door. It's also in a perfect position to visit other areas of the island. There's lots to see and do but you may find it hard to drag yourself away from the calmness of The Stable. We stayed in the Barn at Buddle Place and had the best time on the Isle of Wight. The cottage for four people was cosy, comfortable and the perfect place to relax (particularly by the fire place). It is located in a small town close to the sea. 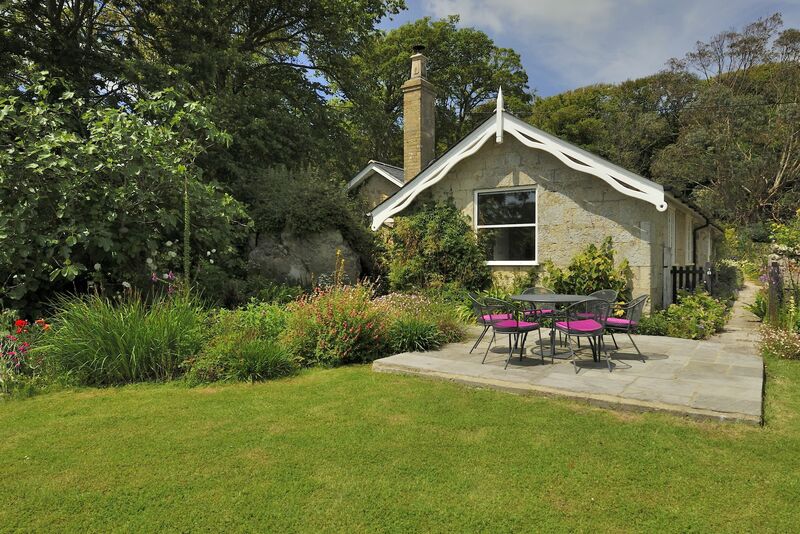 The cottage was well equipped and ideally located to explore the key attractions of the island. Jay and Mark were lovely hosts! We highly recommend! 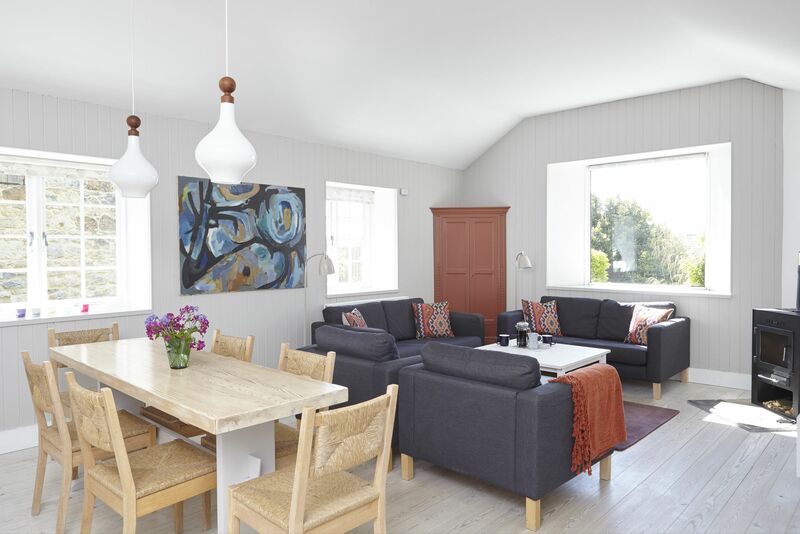 We enjoyed a wonderful 3 night break within this delightful old fisherman's cottage which has been renovated to the highest of standards, decorated in muted tones and bright whites. 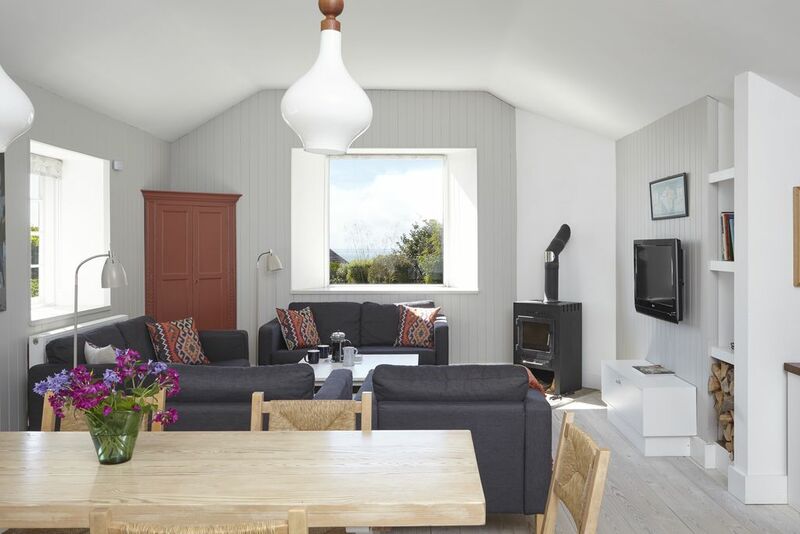 Spacious, practical and replete with a superb wood burner, it made for an extremely relaxing stay for a young family of four. The cottage is superbly located just a step away from outstanding coastal paths with the sort of views you can only really enjoy from this spectacular part of the Isle of White. The owner Jay was very friendly and helpful with great comms. We will definitely be back. The microclimate in this part of the island is mild and the walks are many and marvellous. Join the coastal path, pop down to Castle Haven harbour for a dip (15-minute walk). Drive the five miles to atmospheric Steephill Cove for paddling and local crab and lobster. Blackgang Chine is three miles away, Ventnor five; Sandown and Shanklin beaches are 10 miles. Just a two-minute walk to the famous Buddle Inn – an old smugglers’ haunt dating from 1550, serving good food (Sunday roasts, locally reared beef, local bread and sausages, IOW tomato bruschetta, vegetarian options) and real ales. St Catherines Lighthouse is a few hundred yards away, take a seasonal tour & climb the 94 steps to the lantern at the top. Close by is Castlehaven with its small fishing harbour, beach cafe & the opportunity for a swim from the slipway. Visit nearby Ventnor Botanical Gardens nestled in the Undercliff with its unique micro climate. Sub tropical plants, normally under glass, thrive outdoors here. Stop for lunch at the Edulis restaurant or Plantation Room cafe.